Talk about peaking at exactly the right time. 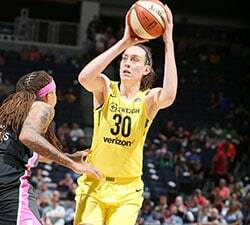 The New York Liberty entered a matchup on August 8th with the Indiana Fever riding a two-game losing skid and stumbling in the all important battle for the first-round byes that come with finishing in the top four in the league under the WNBA’s new playoff format. The Liberty were winless in the league’s final, and most vital, full calendar month. 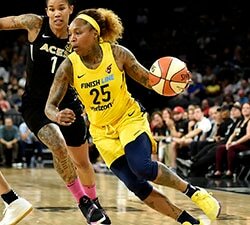 The squad was already devoid of its starting point guard Brittney Boyd, who suffered a season-ending Achilles injury just two games into year, and their offensive juggernaut, Tina Charles, was coming off uncharacteristically rough scoring performances, recording back-to-back games of less than 15 points. There appeared to be trouble brewing in the Big Apple, but then something magical and almost inexplicable happened. The Liberty recorded a win in that August 8th showdown with Indiana, and then nine more after that. 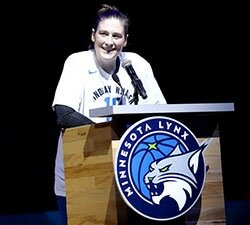 They finished this year on a ten-game winning streak, tying the longest winning streak to end a season in WNBA history. Tallying victory after victory takes a special bunch and a strong sense of cohesiveness, something that the Liberty seemed to bask in as the regular season came to an end. Charles got back to her typical-self, averaging 19.4 points per game over the winning streak. Backcourt running mates Shavonte Zellous and Epiphany Prince averaged a combine 24.5 points per game in the same time span, while spark plug Sugar Rodgers added 7.3 points in a dynamic role that often saw her coming off the bench. Not to be overlooked is the gritty play of Kiah Stokes and Kia Vaughn inside the paint. The Liberty’s two bigs may not have added a tremendous amount in the scoring department, but they combined for 16.3 rebounds per game over New York’s final ten games, a testament to the collective team effort that made the winning streak a reality. Delving even deeper into total team stats over the streak paints a clearer picture of just how hard the roster was working on both ends of the floor. Over the final 10 games of the season New York held opponents to just .38.4% shooting from the field and 68.1 points per game. The Liberty’s point differential of +11.8 over the 10-game streak, was over 8 points higher than their +3.1 average for the season. They also held 6-of-10 teams to fewer than 70 points during the stretch, including 5 teams in a row, the longest such streak in the league since 2013. Finally, the Liberty turned the ball over just 11.4 times per game during the winning streak. The x-factor responsible for putting the aforementioned players into the right positions to succeed is August’s WNBA Coach of the Month Bill Laimbeer. 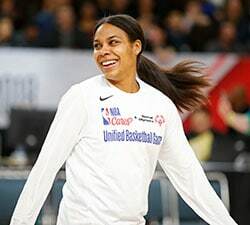 The man with two NBA titles to his name appears to have instilled the Detroit Pistons will to win that he gathered during his playing days into the New York Liberty squad he now leads from the sideline. Now, the time has come to see if that regular season momentum can translate into a prolonged postseason run. New York will look to advance to its first Conference Finals since 2015 and a trip to the WNBA Finals for the first time since 2002. It’s impossible to foresee if this kind of winning streak will give them an advantage when they meet the Mystics on Sunday afternoon, but if you could pick the perfect time to play your best ball the Liberty have done that and then some heading into the 2017 postseason. Watch Mystics-Liberty LIVE: Buy your tickets!